Last week’s collapse of the bill surprised many, but it’s too soon to declare it a win. Update: On June 21, the U.S. House of Representatives narrowly passed the same version of the farm bill that previously failed to pass. When the House Farm Bill failed to pass in a 198-213 vote last Friday, many food and farm advocates declared victory. And it’s easy to see why. Dozens of local and national food movement groups—and their members—had spent the weeks prior urging members of Congress to vote against the bill, which, with its cuts to conservation programs and dramatic changes to the Supplemental Nutrition Assistance Program (SNAP) program, they saw as antithetical to the work they do. “When we’re looking at sustainable agriculture and food systems broadly—nutrition, economic development, rural communities, healthy food access, and conservation—the House bill is deeply flawed,” says Greg Fogel policy director of the National Sustainable Agriculture Coalition (NSAC), one of a handful of groups pushing for food system change at the national level. Meanwhile, most news outlets framed the bill as a casualty of a larger immigration battle between the House Freedom Caucus and GOP moderates—a battle that is far from over. In fact, within hours of Friday’s vote, Republicans lawmakers on both sides of the divide made it clear that they intended to revisit the bill. Then, on Monday, House Majority Whip Steve Scalise (R-LA) announced plans for a second vote on June 22—after a House vote on the ultra-conservative Goodlatte-McCaul immigration bill. Jim French, senior advocacy advisor at the Center for Rural Affairs, says the immigration showdown also may have served as a way for some Republican lawmakers to avoid facing the heat among their constituents on the proposed SNAP work requirement changes and other parts of the bill. The farm bill has … been held up as a classic example of “strange bedfellows” in politics. In normal times, the farm bill was ultimately designed to offer benefits to both very rural and very urban districts, essentially subsidized by suburban districts. This was accomplished by providing subsidies to farmers while also providing subsidized food to poor urban Americans, through either SNAP (food stamps) or subsidized school breakfasts and lunches. This quid pro quo was impressively resilient … As opposed to then (or even in 1990), the electoral geography of the U.S. has changed remarkably. Simply put, there are few to no Democratic “farm” districts and few to no Republican “urban” districts. Geographical sorting and/or gerrymandering, combined with intensified partisanship, has made sustaining the “farm-to-school” coalition much less tenable than it was 30 years ago. Of course, as Jim French points out, nutrition programs are no longer just a solution to an urban problem. In fact, 85 of the top 100 counties receiving SNAP assistance are rural. “[Rural America] is where poverty exists,” says French. “When you start making these cuts, you also have a tremendous impact upon rural grocery stores and food outlets there that depend upon SNAP. And it could also have an impact upon farmers’ markets. “[In 2014], we lost $4 billion in conservation dollars and this time around, projected over 10 years, we could lose an additional $5 billion if we take the House approach,” says French. But he also adds that there were several things that the House got right in its bill, despite the fact that the overall picture was so grim for food-systems advocates. Several bright spots in the House bill included funding for the Beginning Farmer and Rancher Development (BFRD) program, the Outreach and Assistance for Socially Disadvantaged and Veteran Farmers and Ranchers program, and the Transition Incentives Program for the Conservation Reserve Program, which allows for young farmers to work in partnership with land owners. “I think there were some messages that made it through [to lawmakers] and those programs now have a better chance of survival … For the sustainable ag community and for people interested in rural issues, it wasn’t a total loss,” adds French. Although all the advocates Civil Eats spoke to had held out some hope early this week that the House Ag Committee would end up going back to the drawing board, and choosing a more bipartisan bill—such as one that included a less draconian approach to nutrition programs, for example—the announcement of the June vote suggests that a deal has been struck with the Freedom Caucus instead, and the bill itself will likely remain unchanged. 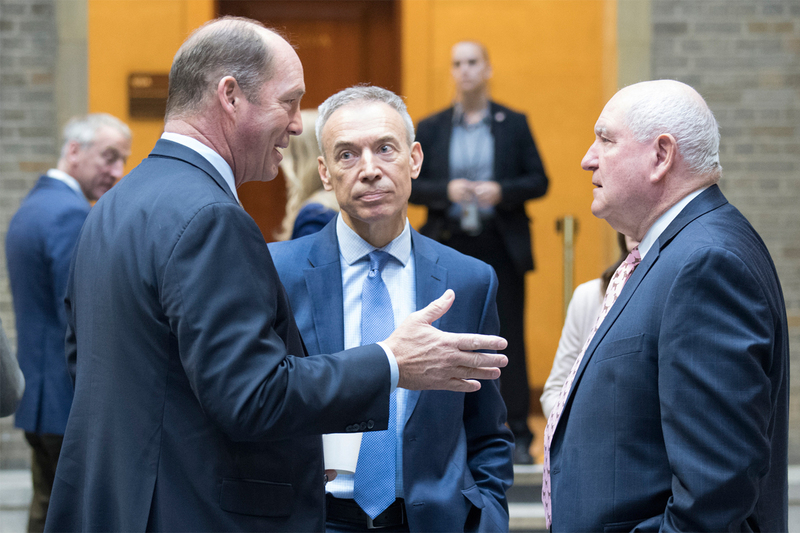 The Senate Agriculture Committee has also indicated that it intends to release its version of the bill at some point in June, but it’s unclear whether that will happen before the next House vote. The Senate Ag Committee needs to craft a bill that stands a chance of passing with Democrats—and therefore includes fewer changes to the nutrition and conservation titles. And while some have speculated that the bill’s timeline may extend into 2019, NYFC’s Bahrenburg stressed the importance of passing a bill in time. If that doesn’t happen, several important programs would likely be left without funding, as was the case in October 2012, when the last bill expired. He points to the fact that up to 100 million acres of U.S. farmland is going to change hands over the next five years as family farmers retire, underscoring the urgency at hand when it comes to supporting young farmers—rather than continuing the current path toward consolidated corporate farm ownership. “We can’t wait for another farm bill to tackle issues like farmland protection, land stewardship, and farm viability. Now is the time to be supporting farmers staying and getting on the land and recruiting new farmers,” says Bahrenburg. The provisions for the protection of livestock during inclement weather such as winter storms has been removed from the Farm Bill. Why and by whom? While farmers are benefitting from 2 separate programs the criteria for them to protect their livestock needs to be reinstated, not removed.